The family of missing pilot David Ibbotson have said “we can’t leave him out there on his own” as more than £140,000 was raised to restart searches. Mr Ibbotson was flying a light aircraft carrying Argentine footballer Emiliano Sala when it lost contact with air traffic control over the Channel, north of Guernsey, on January 21. But following a privately funded search, a body recovered from the underwater wreckage was formally identified as Sala last week. Mr Ibbotson’s wife Nora told ITV’s Good Morning Britain: “We’re still holding on a little bit. Obviously we do know he’s gone but we want him back. “We’re a very close family, he supported us all, he was our rock. A GoFundMe page to restart the search for Mr Ibbotson, 59, of Lincolnshire, has nearly reached half of its £300,000 target thanks to donations under the names of Gary Lineker and French footballer Kylian Mbappe. Through tears, his daughter Danielle told the programme she repeatedly rang his mobile phone when told by police the aircraft was missing. She said: “He was amazing, I was so lucky to have him as a dad. She added she wanted a search team “just to go down and have a last look, a proper look” so that “our family unit can be back, so we can go and visit him, just to know that he’s there”. Mrs Ibbotson said they have not been in contact with the family of Sala as they are both grieving, but said “we’ve always thought about them” and she sent her “deepest condolences”. The initial search for the missing striker and Mr Ibbotson was called off on January 24 but, following calls for it to continue from the likes of Lionel Messi and Diego Maradona, a private one funded by online donations was launched. It led to the discovery of the Piper PA-46 Malibu aircraft and a body, which was formally identified as Sala. 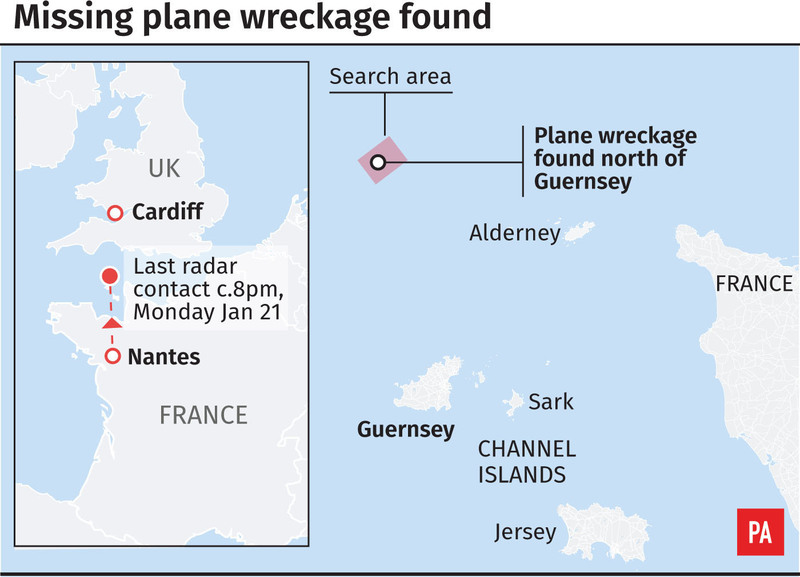 The aircraft remains 67 metres under water 21 miles off the coast of Guernsey in the English Channel.